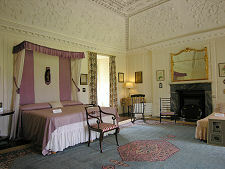 Kellie Castle lies just over two miles north west of Pittenweem and a similar distance north of St Monans. Accessed from the B9171, it stands on land that rises gently from the north shore of the Firth of Forth to the cairn on top of Kellie Law, just under a mile north of the castle. The castle is screened from the south by woodland, so you will only catch brief glimpses of it from the main road as you approach. From the car park you walk along a curved drive from the main gates, a walk accompanied by the beautiful aroma of wild garlic in Spring and early Summer. This only reveals the full impact of the imposing south front of the castle when you are quite close to it. The result is a superb first impression. Kellie Castle has an unusual story, and the tour of many of its rooms offers a sense of how a relatively unimproved castle could be turned into a fine country home in the late 1800s. 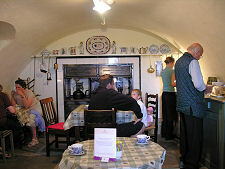 There is also a tea room in the old castle kitchens on the ground floor of the building, plus a shop. 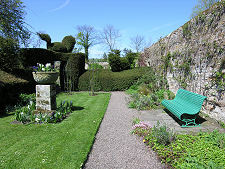 The beautiful walled garden lies to the north and the east of the castle and is open all day, and all year round. Opening periods and hours for the castle itself, and for the tea room and shop, are set out on the right. 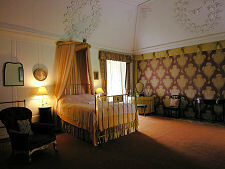 Since 1970 Kellie Castle has been in the care of the National Trust for Scotland. The layout of the castle is a very unusual "T" shape. The head of the "T" lies at the west end of the castle and is aligned north-south. The vertical leg of the "T" extends to the east. The north side of the leg of the "T", overlooking the garden, is less regular than the face you see as you approach because of projecting stair towers. There may have been a castle at Kellie from as early as the mid 1100s, but the best starting point for the story of what you can see today is 1360. This was the year in which the estate on which the castle now stands was passed by Helena Siward, Lady of Kellie, to her cousin Walter Oliphant. The Oliphants would own Kellie Castle for over 250 years, and by the time the 5th Lord Oliphant sold the castle in 1613, it was substantially complete as you see it today. The early story of the castle is rather hazy. The oldest part is the north-west tower. Some say this was built by the Oliphants, perhaps on the site of an earlier castle, when they took over the estate in 1360; while others feel it could have appeared up to a century later. 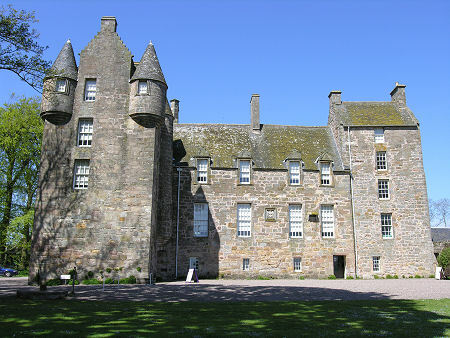 In its initial form, Kellie Castle was probably a castle of enclosure, perhaps a little like Doune Castle. If so, the north-west tower would have been joined on two sides by a two-storey high defensive wall, which probably surrounded a rectangular courtyard to the south east of the tower. The east tower was added by the 4th Lord Oliphant in 1573, probably incorporating part of the existing wall encircling the courtyard. As a result the upper storey has an east wall that is visibly thinner than at lower levels. This might also explain why the date, and the initials of Lord Oliphant's wife, are inscribed very high on the face of the tower, on the part for which he was indisputably responsible. When the 5th Lord Oliphant inherited Kellie Castle in 1593 it probably comprised a roughly rectangular walled enclosure with separate towers at its north west corner and on its east side. Over the following 20 years he demolished most of the courtyard wall and joined up the towers with what is now the main range of the castle, adding a south west tower that also probably reused parts of the courtyard wall. One of the results of the story of its development is that the alignment between the eastern tower and the main range of the castle is slightly skewed. 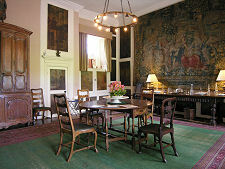 The 5th Lord Oliphant sold Kellie Castle to Sir Thomas Erskine in 1613 to clear debts. 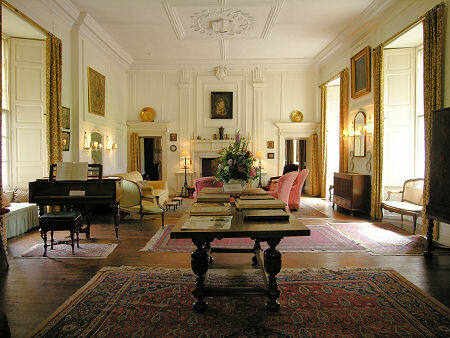 Sir Thomas was subsequently made Earl of Kellie, and his descendants were to live here for another 180 years. 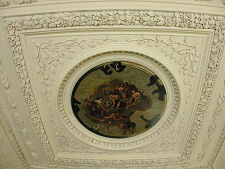 Archibald, the 7th Earl of Kellie died in 1797 and was buried in the castle mausoleum. He died without direct heirs, and the earldom and castle passed to the first of a series of distant relatives, none of whom lived at Kellie Castle. In 1829 the 10th Earl died, leaving no obvious heirs at all. The contents of the castle were sold off at auction, and the building was abandoned. 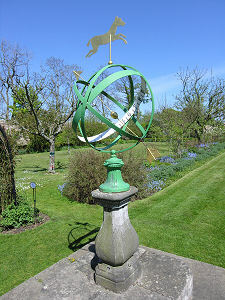 The title and estate were eventually (in 1835) claimed by John Erskine, 9th Earl of Mar after he demonstrated distant family links dating back two centuries. 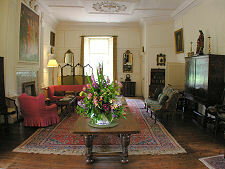 But Kellie Castle's fortunes continued to go downhill and by 1860 the great hall or drawing room was in use as a barn. 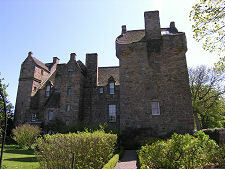 In the 1870s Kellie Castle was discovered during a family holiday by James Lorimer, Professor of Law at Edinburgh University. The Lorimer family moved into what was effectively a ruin in September 1878. 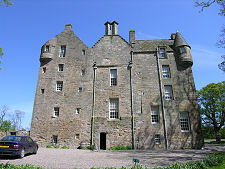 Lorimer had agreed a 38 year lease with the Earl of Mar under which the Earl would carry out external repairs and Lorimer would restore the castle interior. 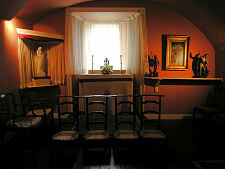 The arrangement with the Lorimer family continued long after the death of James Lorimer in 1890. 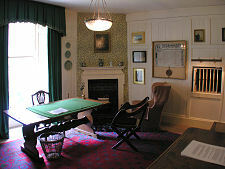 A freqent visitor was Sir Robert Lorimer, the architect. But after James' son John died in 1936 it seemed Kellie Castle would be abandoned again: and for the second time in its history all its contents were publicly auctioned off, leaving an empty shell. But John's nephew, Hew Lorimer, took over the lease in 1937 and with his wife Mary he set about bringing Kellie Castle back to life once more. In 1957 the Earl of Mar and Kellie died, and his successor offered Kellie Castle for sale to the Lorimers: so after renting the castle for 70 years they finally became its owners. 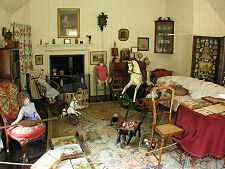 Hew Lorimer's renown as a sculptor is celebrated in a display in the stables at Kellie Castle. His most notable work was probably the 30ft high depiction in granite of Our Lady of the Isles on a hillside in South Uist. On the death of Mary Lorimer in 1970 Kellie Castle was offered to the National Trust for Scotland, who acquired it with assistance from the then Secretary of State for Scotland.